Often times, designers need to be brave. It takes courage to whittle down a complex description into an effective brand message. Too many designs are based on a "kitchen sink" strategy, where the layout includes multiple messages and the corresponding details for each. These unfortunate, busy designs are often a result of "design by committee." Or they're designs with purely the results in mind -- forgetting that there is a reader involved. A great design starts with the reader, introduces an idea and leads to results. These designs often appear simple. But it's in the designer's whittling that much of the work is done. 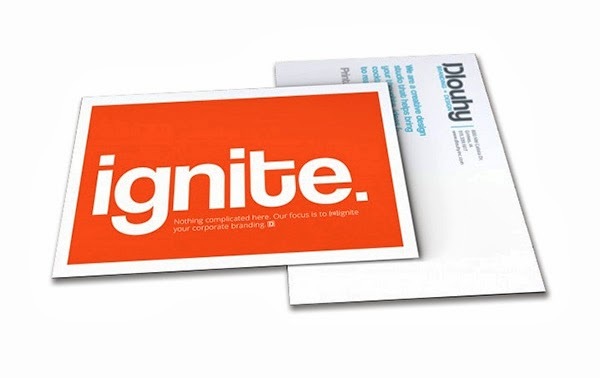 Check out this week's example by the designers at Dlouhy Branding + Design. 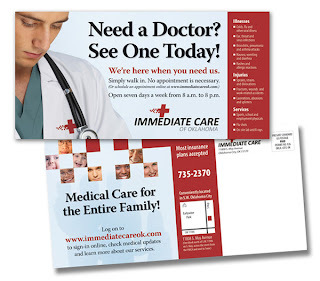 These two postcards, used as a self-promotion, are tasked with grabbing attention (with color and boldness), asking a question ("does your brand need a facelift?") 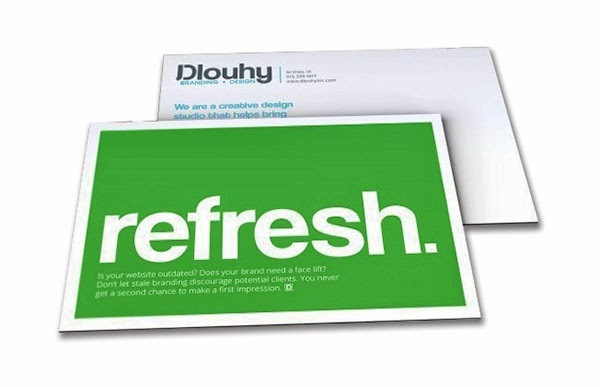 and offering a solution ("Dlouhy"). The first postcard sets the stage. The follow-up postcard reinforces the message. Our mind searches out simplicity and filters out complexity. The best postcard design will avoid the filter. It seems there's a growth industry that's appeared without much fanfare. 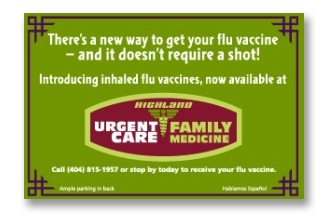 It's called "Urgent Care" and it's made up of hundreds of local clinics that have found a niche somewhere between the Emergency Room and your neighborhood primary care doctor. 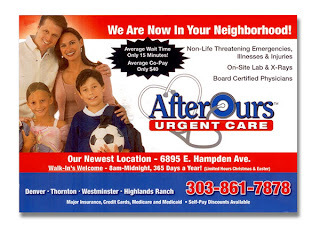 I've come across many postcards designed for Urgent Care marketing -- promoting the clinics to their nearby communities. 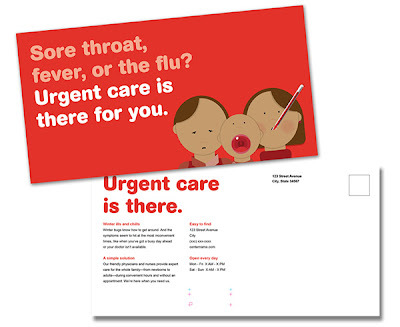 Urgent Care postcards have to accomplish many things: explain what 'Urgent Care' means, promote the clinic, provide contact and address details, and provide a call to action. This can be a lot of work for a little postcard. 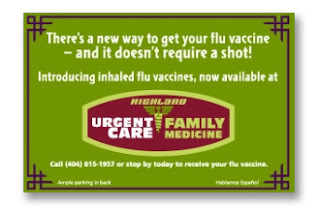 The best strategy is probably to break out the campaign into a series of cards with simple messages. Each of the designs shown resides somewhere on that spectrum between simple and complex. I'll let you be the judge of which part of that spectrum is most effective. 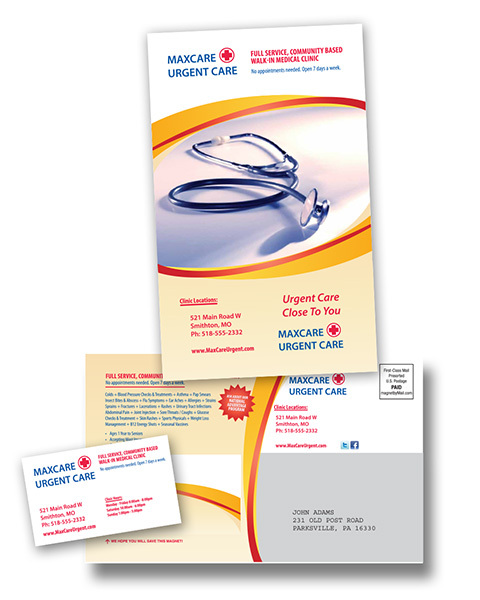 The final design, from our own sponsor at magnetbyMail, features a magnet mailer which has some added functionality. 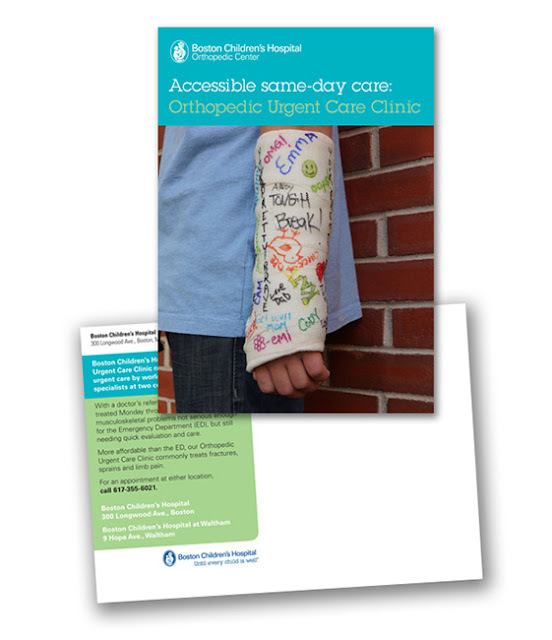 It includes a customized magnet that can be kept in the home or office for months or longer.